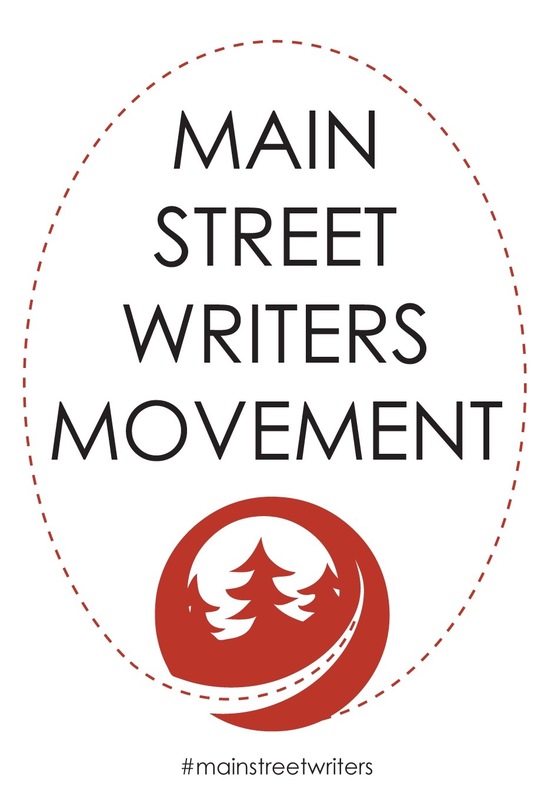 WHAT: The Main Street Writers Movement encourages writers to build genuine community on the local level, with a focus on amplifying underrepresented voices and supporting regional literary organizations and businesses. As we activate Main Street Writers hubs across the U.S. and connect them, we will strengthen the literary ecosystem, increase the volume of the literary publishing conversation, and earn more visbility for the writers who invest time and effort in their communities. HOW: To join the movement, take the pledge, and sign up for our newsletter in the sidebar. Then share stories and images using the #mainstreetwriters hashtag. WHEN: We launched the movement at AWP, Feb. 9-11, in Washington, D.C., so we can meet the writers who are joining Main Street. At the conference, Forest Avenue Press will hand out a thousand free Scout Books notebooks, produced in our hometown of Portland, Oregon. The notebooks feature plenty of pages for notes, plus the pledge, a list of ways to engage, and powerful quotes from writers and publishers on the relevancy of this movement in these times. In addition to the AWP launch, we’re circulating the pledge online, spotlighting writers who make a difference, sharing insights from small publishers and industry thought leaders, and offering Main Street Writers Movement classes in select cities. As we grow, we’ll roll out a website and toolkits for small presses to share with their authors. We also plan to establish a list of small presses and agents that support the movement, so writers submitting their work know they should mention their Main Street involvement in their query letters. Use the #mainstreetwriters hashtag to connect with other literary community builders. Share photos of signing the pledge with your friends and encourage them to join too. We’re stronger and louder together. WHO: Writers, readers, booksellers, publishers, editors, publicists, agents, and anyone who wants to participate in the literary conversation. Writers whose voices are underrepresented and allies who want to take action and practice meaningful amplification instead of offering occasional well-meaning gestures. Introverted writers who want to grow deeper roots in the literary community but aren’t sure how or where to start. Writers who have spent five or more years working on the craft and are frustrated by their lack of career traction; let’s channel that into creating more opportunities for our neighbor writers, because opportunities multiply and gather momentum. Established writers who are willing to share insights and hold their hands out to newer writers. The go-to writers—the ones who help when an out-of-town author needs to get in touch with a bookstore events manager or spread the word about the date. Main Street will connect these touchstones to their counterparts in other cities, helping authors tour more successfully. Debut authors who assume that “the network” will support their book, but then it comes out and . . . crickets . . . and then they don’t know what to do. We’ve got your backs. But you have to have ours, so join the parade, sign the pledge, and start looking for ways to get involved. Frustrated writers. Angry writers. Feeling-ignored writers. Feeling-too-competitive writers. Tearing each other down makes everyone feel worse, so when something good happens for a local writer, let’s celebrate, because an award or achievement can power up the whole community and give everyone else hope. Writers who are tired of writing fluffy reviews about books they don’t particularly like due to a sense of obligation. Let’s replace that instinct with better, more genuine ways to support each other. Those who are tired of staring at screens; let’s leave our houses and meet new people and introduce them to our existing friends. The writers who start podcasts and reading series, create publishing houses and literary magazines, volunteer for literary organizations, and those who stay up-to-date on the industry so they can share the insights with their friends. And the writers who see these things happen and wish they could participate, or act on their own ideas. You can. We promise. The Main Street pledge is your permission slip, your activation button. Publishers, agents, editors, and publicists who believe in offering tools and transparency to help writers succeed in a crowded marketplace. Indie booksellers who want to educate authors on working together and having successful book events and high turnouts. Readers who want to discover literature produced by diverse writers and presses in their communities. Everyone who wishes more people were reading and talking about literature. WHY: Forest Avenue Press works with a few novelists a year, given our small staff and limited resources, but since our 2012 founding, we have consistently used our publishing program as a platform to help writers succeed by demystifying the industry—offering insights, optimism, and transparency through emails, meet-and-greets, and conferences. This movement exports that organic, grassroots approach onto the national stage and offers a flash point, a way to rally and amplify and activate writers who want to connect with each other, to increase the visibility of marginalized voices, and to get more people to read. We realize that movements come and go, and small presses often disappear, but that’s why we’re building the Main Street Writers Movement through Forest Avenue, which celebrates its fifth anniversary in June 2017. We have an established brand and strong relationships with writers, readers, publishers, agents, multiple distributors, and other literary thought leaders. As the movement grows, we’ll have all of you stepping off the sidewalks and into the street to link arms and shout to the rooftops about the good things happening in your communities, which will make the movement exciting, diverse, sustainable, and loud.